Brian Floca is fast becoming one of our very favorite authors/illustrators. This book, like Moonshot, is spellbinder. 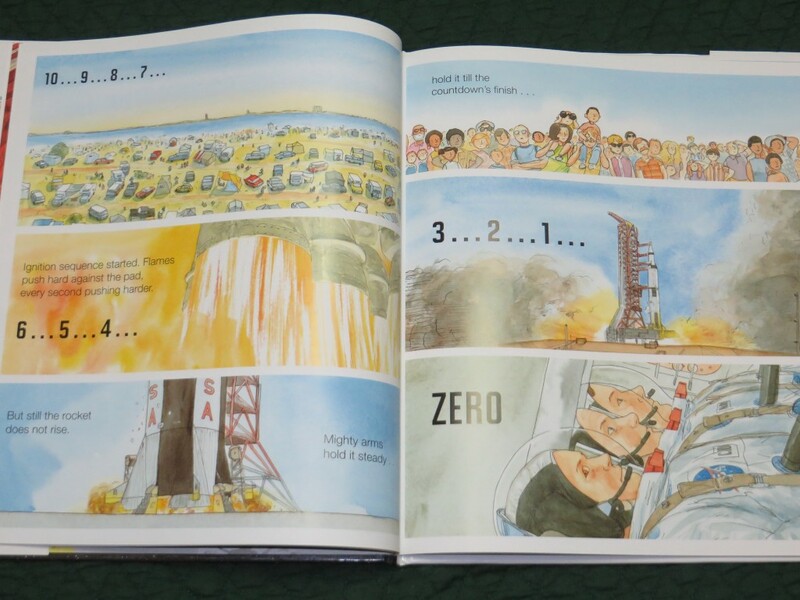 Although the story takes place much closer to home, it is just as poetic, fact-filled, and beautiful (although it is shorter and therefore quicker to read aloud). 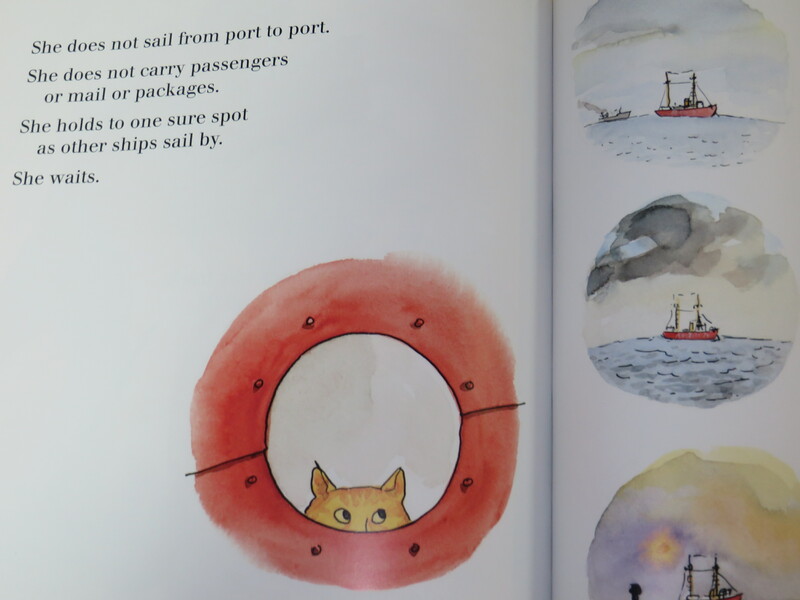 The illustrations were based on a retired lightship that is now part of the South Street Seaport Museum in New York City–I’d love to visit it with the boys someday. but glowing in the sky. hot, and near the sea. But now these men are dressed for colder, stranger places. in suits not made for Earth. This outstanding book tells an amazing story, reads like poetry, is full of interesting facts, and is beautifully presented. It is not a short book, but reading it aloud is a pleasure.